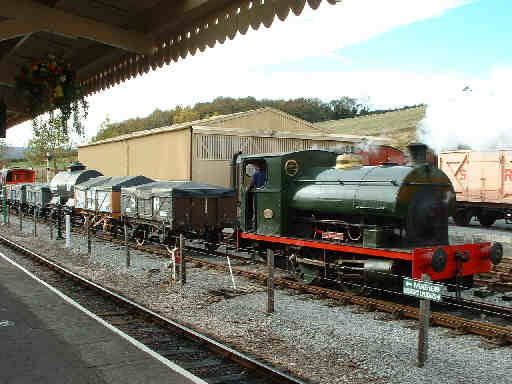 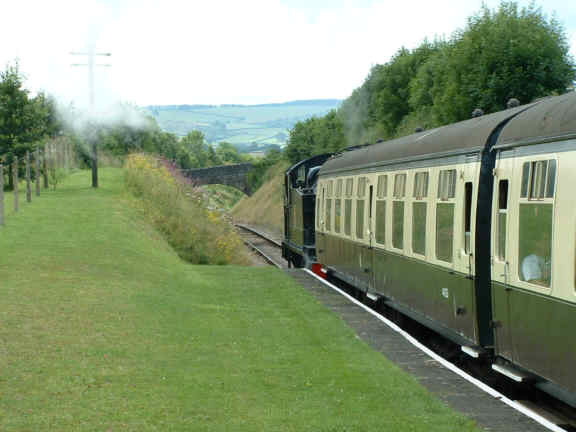 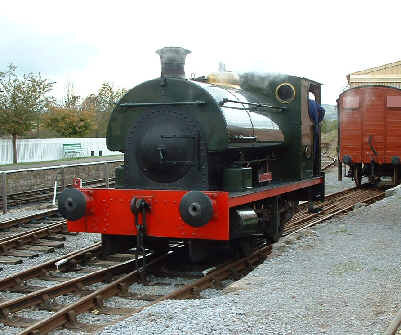 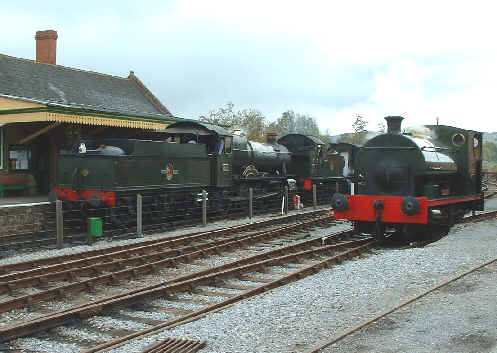 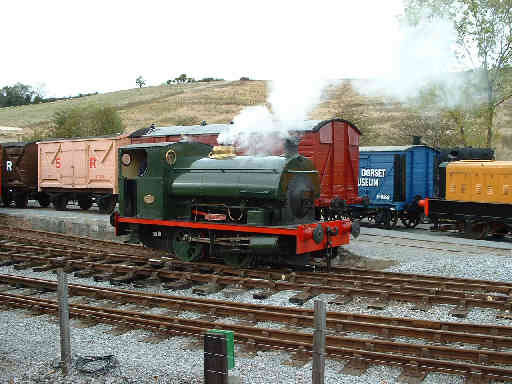 Washford station is the base of the Somerset and Dorset Railway Trust, hence its Southern green colour scheme and the various items of rolling stock seen here. 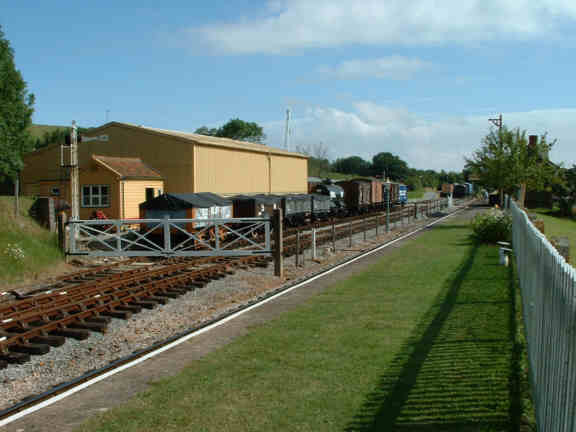 The grass covered platform surprises some, they aren't sure if it is a platform or not! 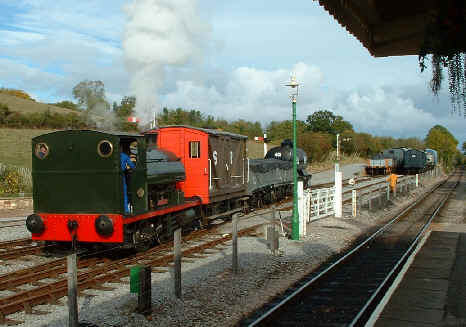 Washford is at the summit of climbs from both Blue Anchor and Watchet, here 4160 is coming over the brow with a down train. 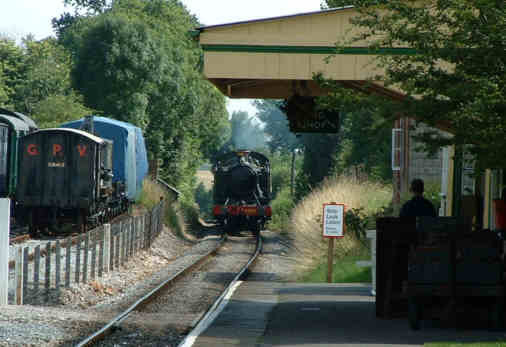 Looking the other way 5224 departs from Washford with a Minehead bound train, as you can see the line drops way at this end of the station as well, it is actually the steepest climb on the line, steeper than climbing through the Quantocks. 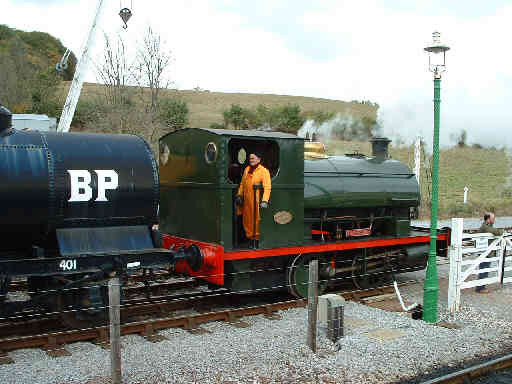 The trust's little Pecket saddle tank often gives shunting demonstrations, as seen here during the WSR's Great Trains Extravaganza. 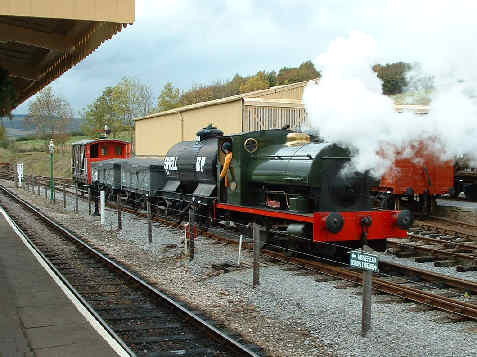 Two views of Kilmersdon resting from her shunting activities. 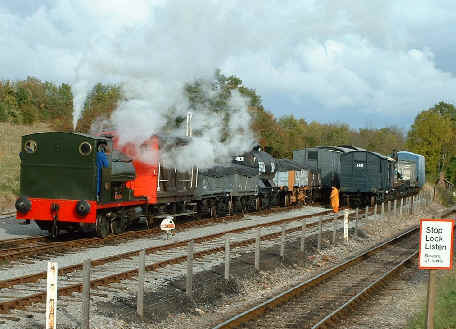 While she was resting 7820 Dinmore Manor and small prairie 5553 called at the station with an up train. 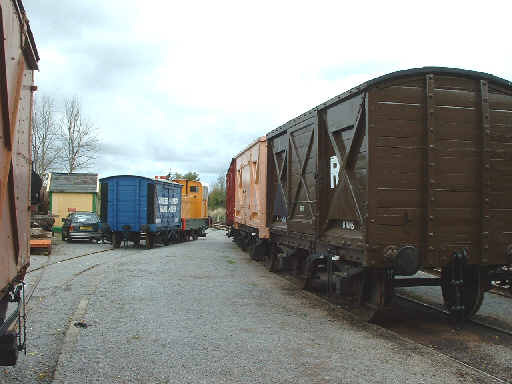 A couple of views of the Trust's collection of old goods wagons in the yard. 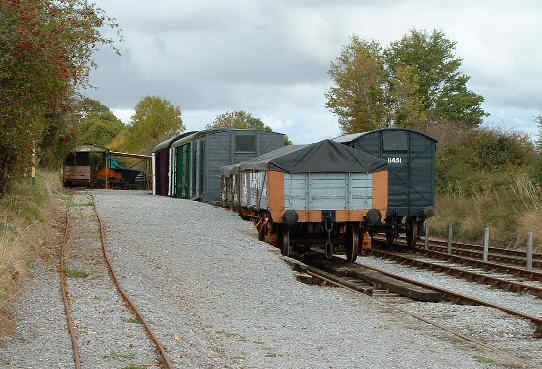 In the left hand view is the narrow gauge former peat works line displayed here. 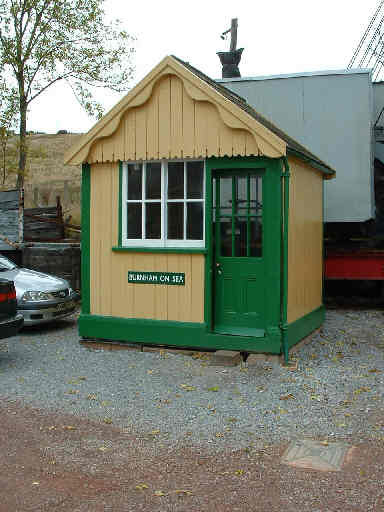 An unusual exhibit, the signal box from the S&D's station at Burnham on Sea is preserved at Washford.